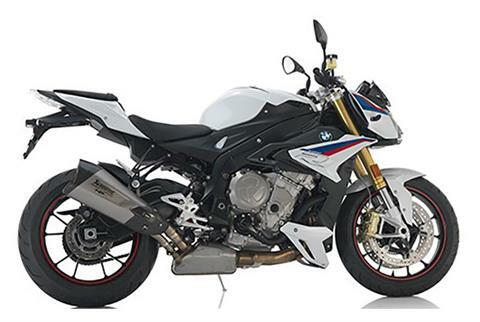 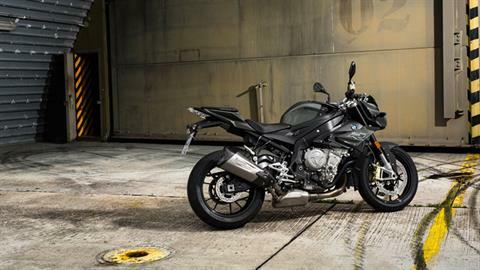 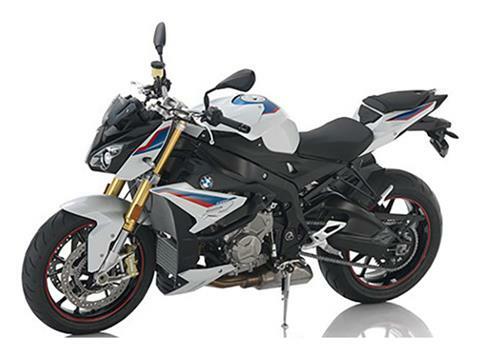 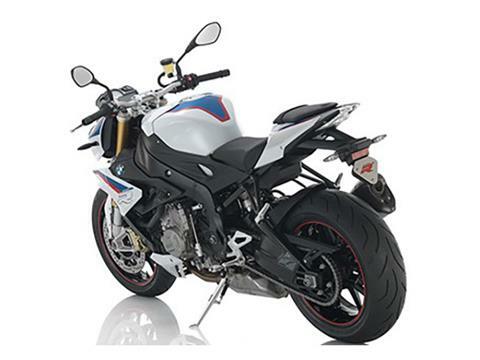 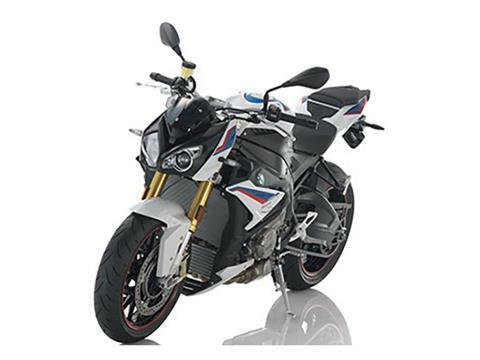 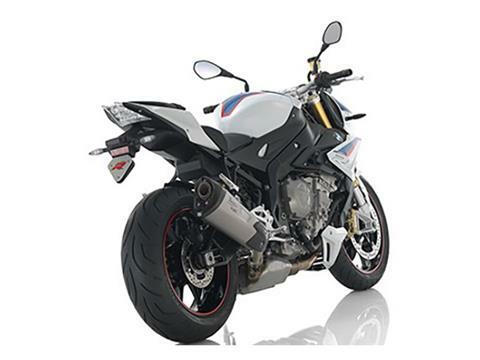 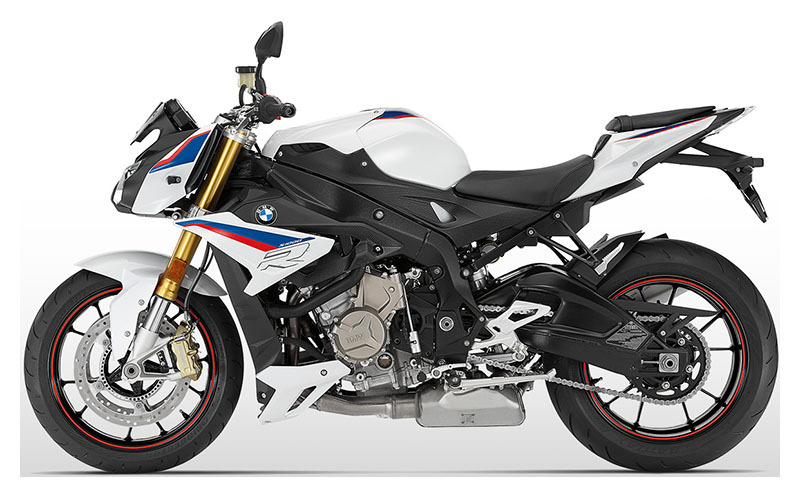 If your heartbeat races in proportion to the tachometer, then the S 1000 R is the Roadster for you. 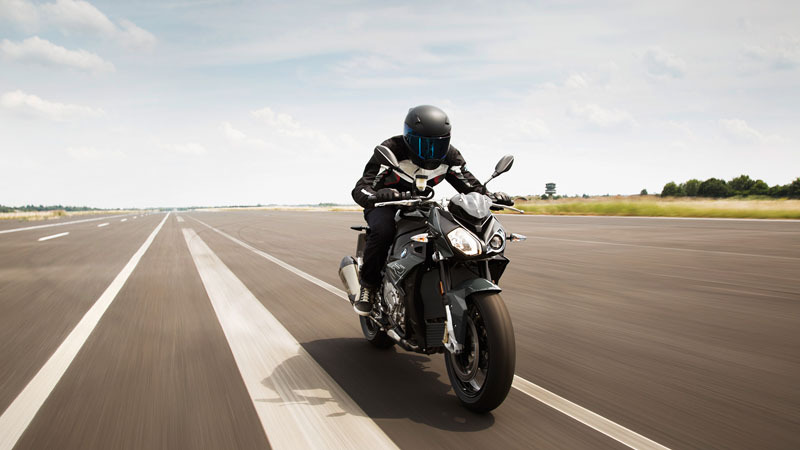 It’s stripped down to the essentials but maximized for pure riding pleasure. 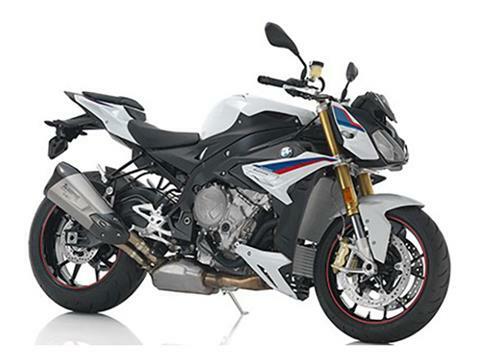 Its aggressive engine with its 165 hp (121 kW) will put a smile on your face every time it revs up. 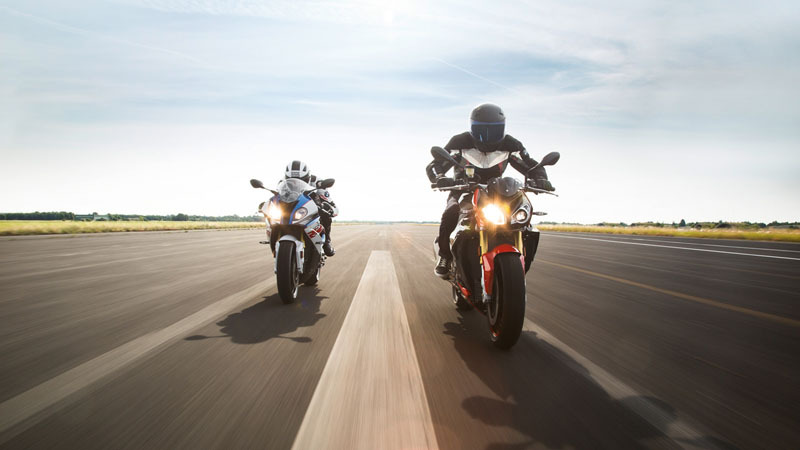 The rich sound of the new standard HP titanium rear silencer leaves no doubt: that's how life in the fast lane sounds. 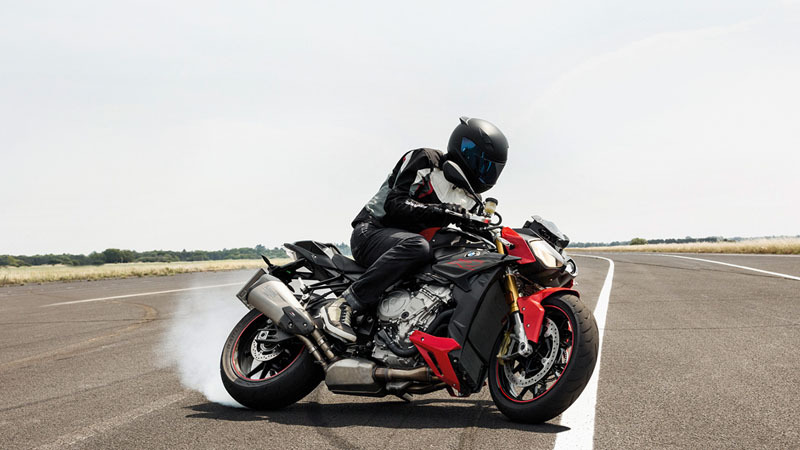 ADRENALINE ON TWO WHEELS: The genes of the S 1000 RR are quite clear in this bike: an aggressive tail-up/nose-down design, a distinctive split-face and characteristic gills. The greatly reduced side trim panel and precise coloring are pure and uncompromising. 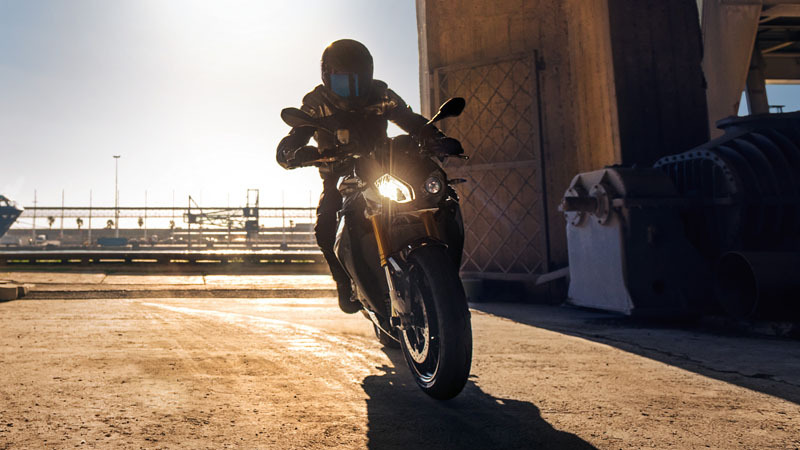 THE SOURCE OF ALL DYNAMICS: THE ENGINE: The high-performance 4-cylinder in-line engine, just like the rear, descends from the RR. 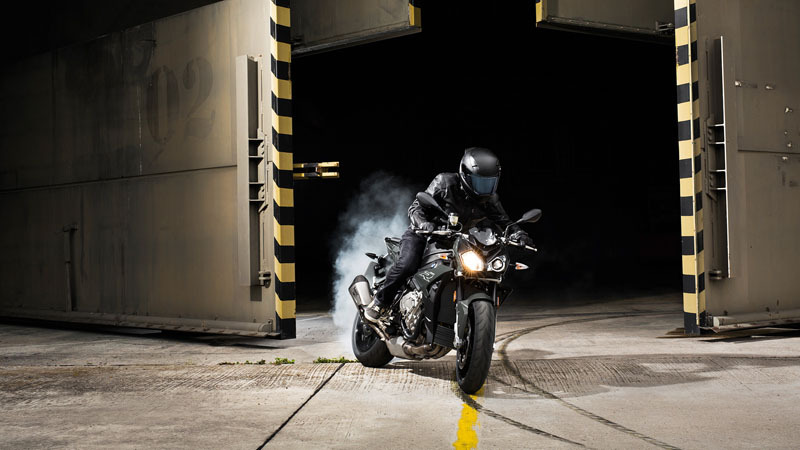 We have increased the power again to 165 hp (121 kW). 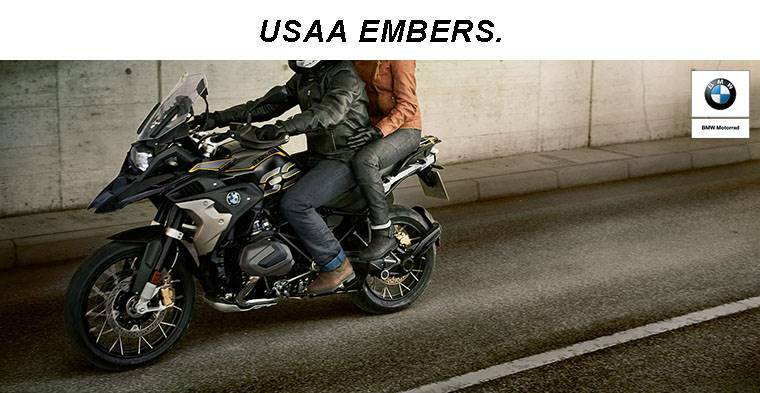 For an extremely linear torque and constant forward propulsion across the entire engine speed range. 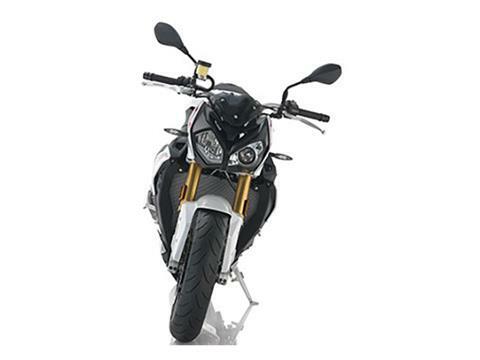 E-Gas lets you measure out this power even more precisely. 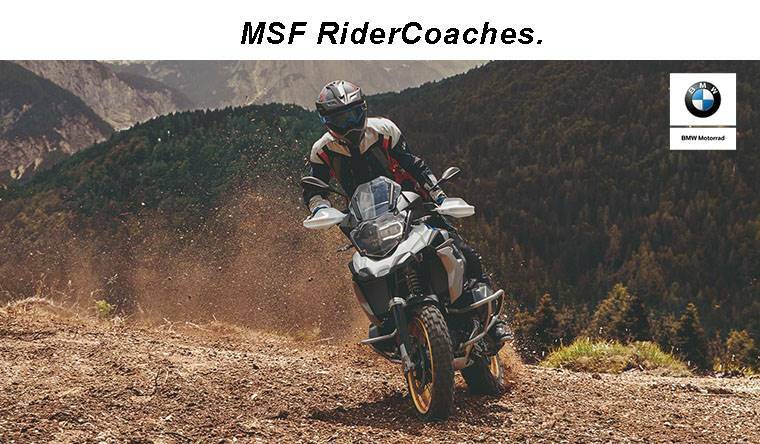 The Shift Assist ProPro lets you shift up and down without using the clutch for more dynamics and shorter response times. DISTINCTIVE FRONT: The asymmetrical headlamp arrangement makes the RR's DNA easy to recognize. 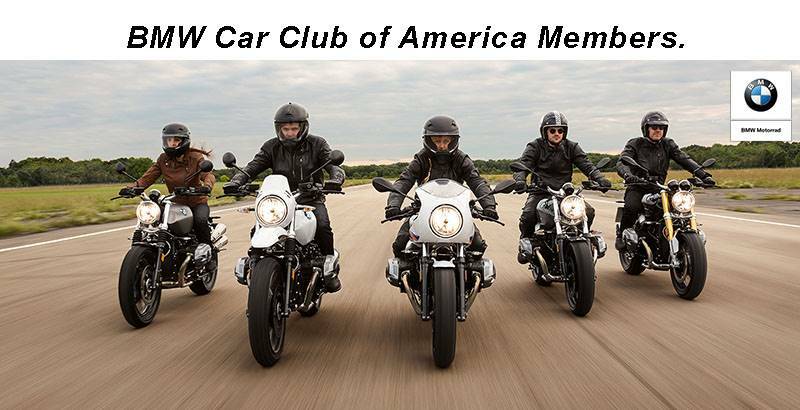 PROMINENT "R" LOGO: Underlines the leading position of the S 1000 R in the dynamic roadster segment. MULTIFUNCTIONAL INSTRUMENT CLUSTER: With round speedometer, indicator lamps and a large, easy to read LC display. LIGHT ALUMINUM TANK: Made of aluminum, the slim fuel tank reduces the overall weight. REDUCED SIDE TRIM: The reduced and dynamic trim supports the sporty and aggressive design. 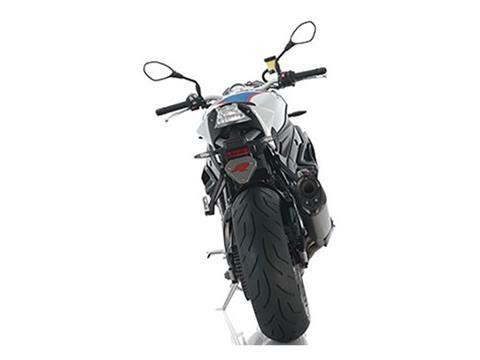 HIGH-PERFORMANCE BRAKES: For outstanding braking performance and braking safety. HP TITANIUM REAR SILENCER AS STANDARD: The HP rear silencer made of titanium and fitted as standard provides a powerful sound. 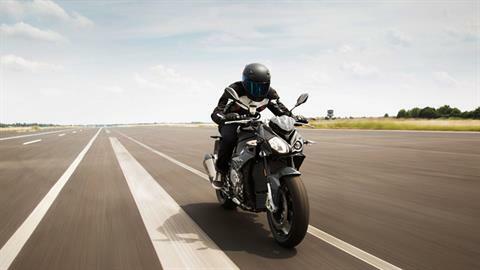 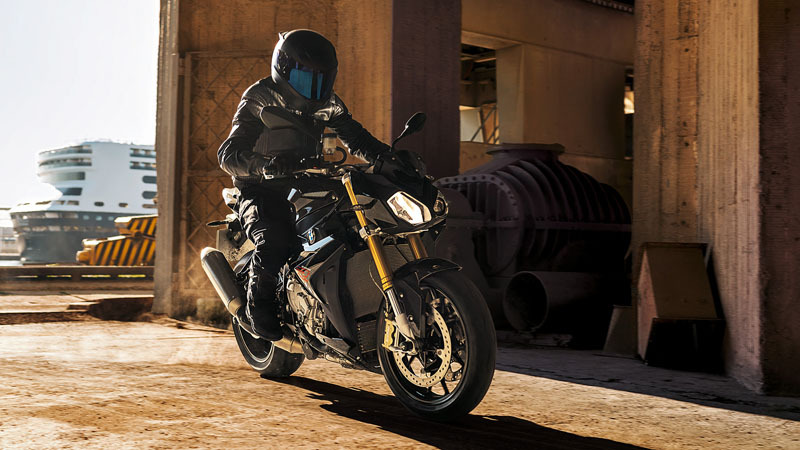 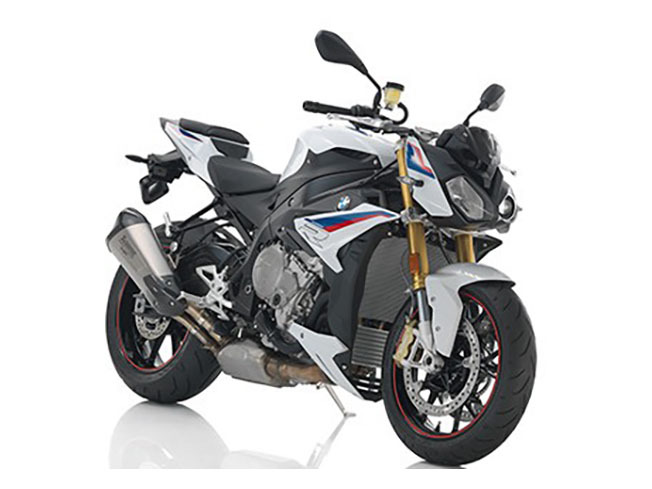 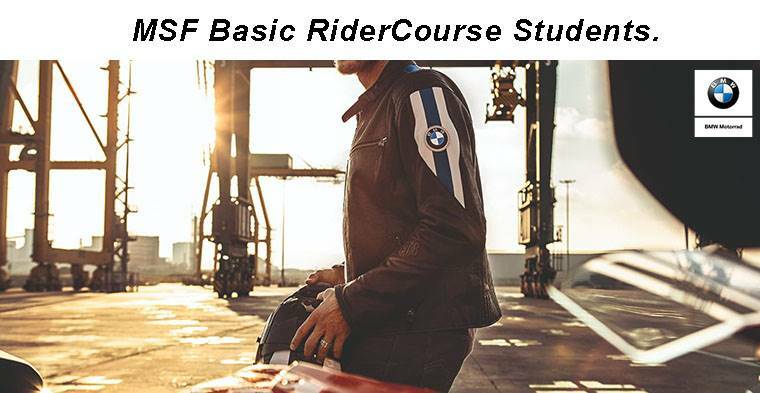 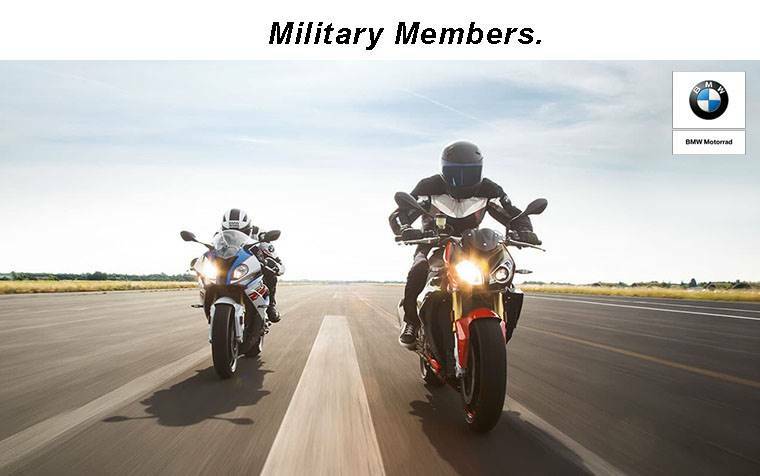 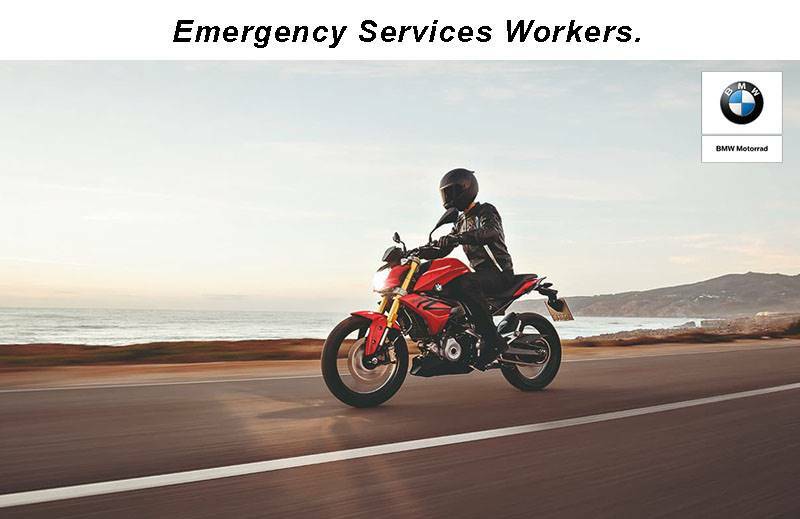 Room for adjustments: The S 1000 R comes with two standard riding modes” “Rain” and “Road.” The ABS and ASC in “Rain mode” provides a more gentle throttle, best suited for wet road surfaces; while the “Road” mode optimizes the throttle response of the ABS and ASC when riding on dry asphalt.